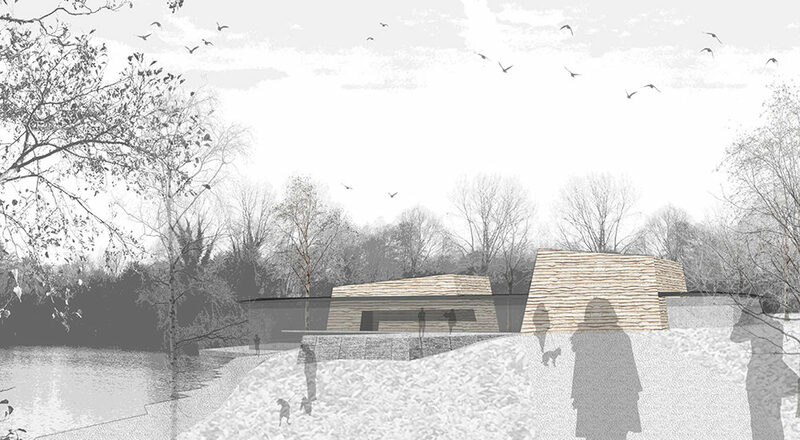 This scheme for a new visitors centre was designed to form a gateway to the site, encouraging visitors to engage with the facilities offered. The open approach to the centre clearly defined the entrance and provided an external space for picnics with views across the nearby lakes. The distinct built forms, clad in Waney-edged larch help to clearly identify the principal spaces. The palette and geometry used for the visitor centre is repeated to form a new Wellbeing centre, Hide, Wardens Lodge, and refurbishment of existing facilities to create coherence to all structures on the site. 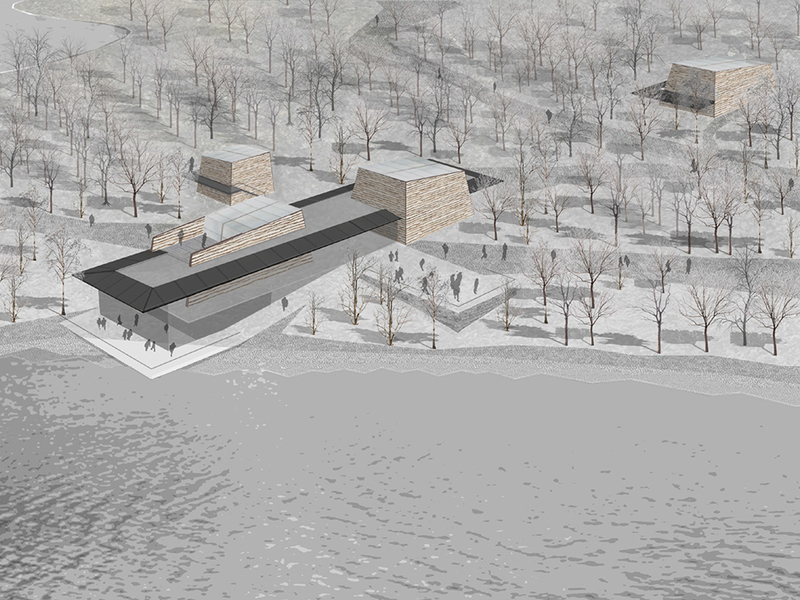 The designs principal aim was to maintain a connection with the landscape, both internally and externally in a number of different ways. The new café overlooks the lake with access to an external terrace. A lecture area opens to the sky providing a space without distractions, flooded with light when workshops are in progress. The Wellbeing centre has a separate entrance with protected views to the woodland. A viewing platform wraps around the outside, extending over the treetops. The new hide observes the lake. Externally the building creates adaptable landscapes. Elemental gardens and children’s play-area can be developed in the distinct quarters defined by the structures. 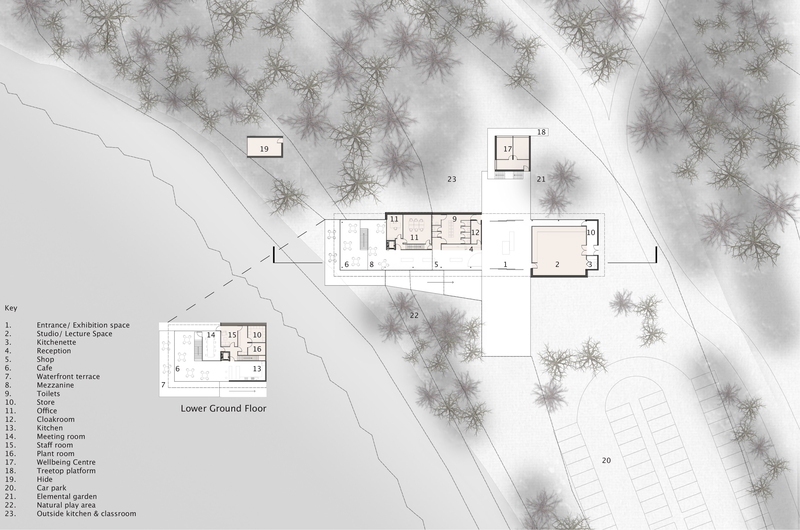 This allows the gardens to create a transitional landscape between the internal spaces and the nature reserve. The centre was been designed to achieve the stringent Passivhaus certification with a predominantly glazed south elevation, high insulation levels and airtight construction. The distinct volumes are spatially compact and can be closed independently from each other to avoid heating unused spaces. Low VOC materials are proposed throughout and MVHR will maintain excellent natural ventilation levels.